Yesterday I wrote about what people do in case of emergency, and most particularly about what I do when my survival seems threatened. I mentioned Maslow’s Hierarchy of Needs theory, and also that others, such as Arizona State University psychology professor Douglas Kenrick, have taken issue with Maslow’s pyramid and revised it (or even dismissed it). Kendrick is an interesting person whose work I respect because it has added a great deal to the psychological literature and is also thought provoking. His bio on the Psychology Today web site illustrates how a person can weave his misbegotten past into a presently successful life. Those of us who have college transcripts (or even rap sheets) to live down can take note, as his humor is self-effacing but artful at the same time. He’s a sharp fellow. The article I referenced notes that many disagree with Kenrick’s assertion that parenting, not self-actualization, is at the pinnacle of human psychological development. One thinker went so far as to suggest that grandparenting might be at the pinnacle–an idea I liked, being a grandmother myself and calling to mind a proverb that says, “a children’s children are a crown to the aged” (Proverbs 17:6). During my work in the child welfare and adoption field, I had occasion to work with many couples who found themselves unable to have children. I can’t even estimate how many thousands of women I’ve talked to, corresponded or consulted with, or counseled who were anguished over their inability to produce a child. The abuses I’ve encountered in adoption work almost always stemmed from greed, perhaps equally arising from the agency or attorney greed for money and the adoptive parent greed for a child. Thus it is that another proverb says there are four things that are never satisfied and can never say ‘enough’: the grave, the barren womb, parched earth, and fire (Proverbs 30:16). 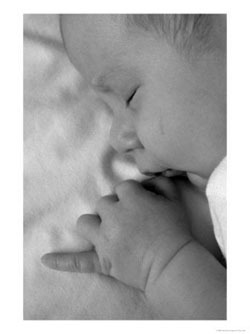 The only satisfaction for the barren womb, the psalmist says, is a child. 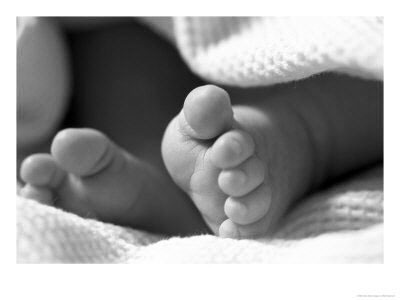 I have known many infertile adoptive mothers whose wombs were forever dissatisfied even after they adopted a child, whose wombs continued to wail. Is Kenrick correct, then? Is parenthood the epitome of human success? I don’t think so. From the perspective of biological evolution, one might argue that he is correct, and the most developed human beings are those who are able to acquire, retain, and reproduce with a mate. I’m not so sure why mate retention is necessary, though, considering that having babies will ensure genetic advancement and therefore the most psychologically advanced among us must be those people who are having more children more quickly and often than anyone else. This puts Niger at the top of the list worldwide as the place to go for evolutionary enlightenment. 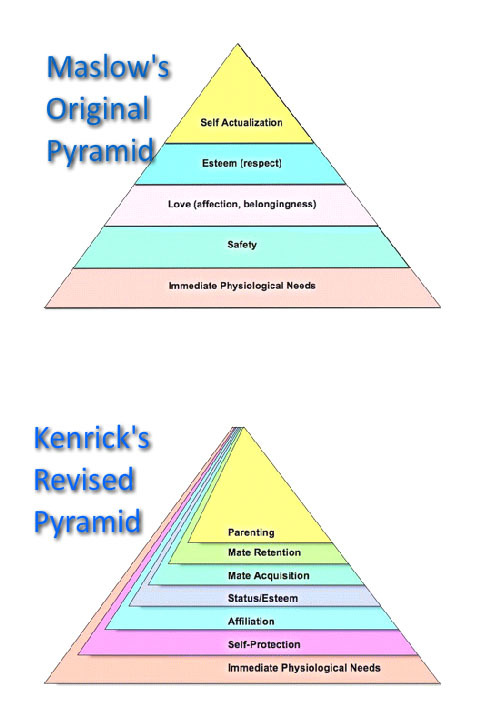 What gave me pause yesterday when I looked at Kenrick’s pyramid was the rightness of it from the perspective of a person who has no mate or no children and feels these lacks as a personal failure. There certainly is an undeniable prejudice in most cultures against the single, childless person. The single parent has at least proved that s/he can mate and produce a child; the married but childless couple has at least proved that they can mate. But the single, childless person is often looked upon with pity or even disdain in our culture. Get to age 40 and be childless and without a spouse, and you’ll understand exactly what I mean. Being alone in any culture makes a person feel like a failure, and tends to cause others to judge one as a failure. A childless person without a mate had better be a mystic, priest, poet, artist, or other inspired type to ward off societal judgments. This state of affairs suggests just how shallow we can be. We put so much store in biological advancement and so little on spiritual that we will applaud a person for marrying and having a child while judging another for doing neither. We will judge the car mechanic for his shoddy work, but not the bad parents for theirs. Every kind of mediocrity and benign neglect are supported as long as one has a spouse or partner and is producing children. It is quite clear to anyone who has been married and raised children to adulthood that neither marriage nor childrearing will save you. Spouses and children do not satisfy the need for spiritual and psychological advancement, and often times we realize later that all the love we lavished upon our children was as much about us as it was about them. I know few enlightened parents, but many selfish ones, and the reason why counseling continues to be a booming profession is because people who have no business becoming parents have children anyway, and these children grow up and need fixing. Such fixing is very hard to come by. Spouses and children are millstones around the necks of those who seek enlightenment, and so it is that the world’s greatest religious leaders, teachers, gurus, and saints were, by and large, single and childless. Saint Paul said that it is better to remain unmarried, because the married have the cares of the world on their mind–how to please the spouse, how to provide, how to raise the children. The person who chooses to remain single and childless can devote him- or herself to God. We all know people who should never have become parents but did, and whose only gift to the world was to send a neurotic, unhappy child out into it. This adult child wanders the world, forever searching for a new mother and father in every other person or community, only to be rejected and disappointed and to therefore repeat the psychological wound. Our world is full of such people, raised by wolves, unparented, unwanted, and unloved, inflicting themselves on others and producing babies who are well dressed and perhaps even well-educated, but merely higher functioning facsimiles of their own orphan-hearted parents. This is exactly why the middle- and upper-middle class families who look so good on the outside inevitably produce an addict or disordered person of some kind, for there is always a truth bearer who testifies of the truth through intransigent symptoms. The abundant womb is the spirit producing love and light. 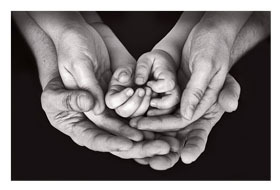 It nurtures, contains, and sustains life. A person who can stand in the face of cultural judgments and choose a simple, single, childless life, or consciously choose childlessness in favor of an evolution of the self, or even selfless service, is a great person. Every person among us is destined for death and each of us dies alone. Our two possessions are our own births and deaths, and no matter what we tell ourelves or how we are received on either side of life, we go it alone. One of Stephen Covey’s 7 Habits of Highly Effective People is to begin with the end in mind. If each of us began every day with the idea of our own deaths in the front of our minds, I wonder how different the world would be? Just as medieval nuns attached carved skulls to their rosaries and meditated hourly on death, so too we ought to consider reality. I spoke a few weeks ago with a long-time friend who is a fine mother and grandmother. Her mothering and grandmothering are so fine, in fact, that none of her children know that sometimes her mothering and grandmothering wear her to the bone. We talked at length about how the ‘Good Mother’ is an icon we sacrifice to but loathe at times, for she demands everything and gives nothing in return. Every conscious grandmother I know has expressed a similar feeling to me, namely that we do our duties with love and often joy, but that we all long to be alone and quiet and still and rarely get to be these, because we are always serving and caretaking someone. We can never escape from being wives and mothers and grandmothers, sisters and daughters. We caretake the world and often have gone into professions as caretakers, too, in service to the Good Mother. Many women never get to be alone until they are on their death beds, and the lack of aloneness all their previous lives has made them ill equipped to grow old and die. Men, too, serve an idol. In my household, we call this archetypal figure “Mr. Fix-It.” He is the handyman, the honeydew, who does everything. He gets up and goes to work every day and comes home and mows the lawn. He changes the oil and drives the kids to the park. He pleases his boss and tries to please his wife and then has to put up with hearing about what a failure he is in spite of his efforts. He is like a pack mule at times, and other times like the handyman one hires for ten bucks an hour. When he was young, he longed for adventure and had a daring gleam in his eye, but the fire has given way to duty and before he knows it he’s old and his life is over. “I never really even lived my life!” he says with bewilderment. For all these reasons and more, I think that those of us who have mates and children and grandchildren ought to be as honest about the difficulties and demands of these relationships as we are eager to update our Facebook pages with brags and photos about this so-called great life we lead. The fact is, this great life is exhausting, but we can throw ourselves into carpooling, school programs, volunteerism, and back-to-school shopping with abandon because these do not demand real selves or enlightenment or any kind of personal development of us. We can be the succubi and incubi of the universe, or we can be life-givers like Eve, but we can’t be both. When people confuse life-giving with childbirth, they are sorely misguided and in danger of doing the rest of us a terrible disservice by producing more unfit children in a world already teeming with unfit human beings and all too few enlightened communities. I hope that we will honor and cherish those among us who are single by choice and childless by choice. I hope we’ll thank them for being conscious human beings and for having the courage to say, “I will not have children.” I admire Oprah Winfrey because she knew she could only be excellent at her career or at mothering, but not both. She was called to be who she is and she fulfilled her calling, and in my book that makes for a great woman. Few of us are called to entertain or improve the world on the Oprah scale, but each of us is called to do what Maslow suggested, which is to be the best we can be at who we are–with or without spouses or children, and many times in spite of them.